Among the many photographs collected by the late Phil Lambert was the one left marked James Vezey. He ran the Chequers pub in the Market Place and was a member of the same family who owned the candle factory on Quarry Hill. There has been very little written about the Chequers branch of the family and James Vezey, Master Butcher, of Box. So I hope this article will balance the interest in this important village family. In the previous issue we saw how the Vezey family became the manufacturers of soap and candles at Quarry Hill in Box. This was only one branch of the Box family and another existed who were shop-keepers in the Market Place. At times, the two branches seem to have evolved independently, perhaps because of a perceived difference in social status. How did the Vezey family learn their trade as butchers and publicans? There appears to be a strong link between the Box Vezeys and a family of the same name in Batheaston. Among the Batheaston Vezeys is at least one James who also was a butcher. The 1861 census records a James Vezey living in Bristol whose occupation is that of grocer. We don't know if either of these references is the same man as James Vezey Senior, Master Butcher of Box, or of his son, James Vezey, Junior. James Vezey Senior (1805 - 1865) was born in Ditteridge. He and his wife, Frances, had at least six children: Thomas W (b 1834), Elizabeth, Mary (b 1838), Frances Junior (b 1841), Jane (b 1842), James Junior (about 1848). We know that James Senior was the publican from 1848. It is not clear when he relinquished the pub to his son, James, but he died in 1865 and James Junior took over the work. 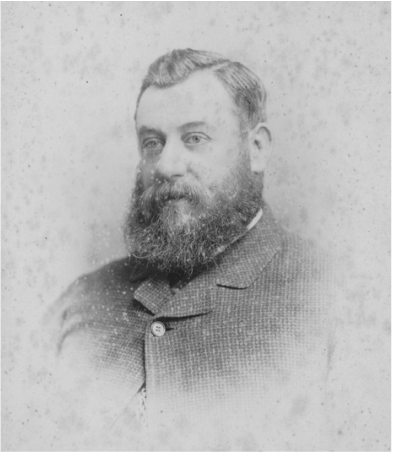 James Junior (1848 - 1906) married Elizabeth (1848 - 1911) and in 1881 he called himself Master Butcher & Innkeeper at The Chequers. We have more information about James Junior through the history of Box Cricket Club written by Donald Bradfield (his grandson) and his cricket colleagues including the Lambert family. 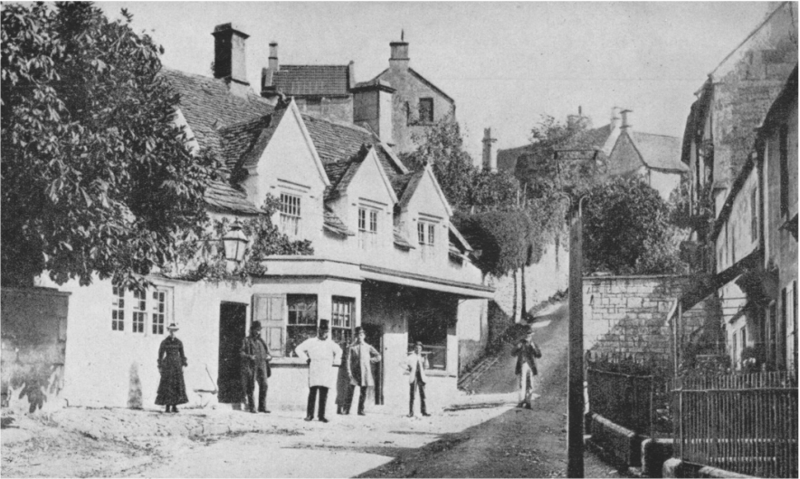 Phil Lambert had a photograph (below, courtesy Margaret Wakefield) of the Chequers, standing outside of which is a large man wearing a top hat and white apron. James Vezey outside the Chequers pub and butcher's shop. 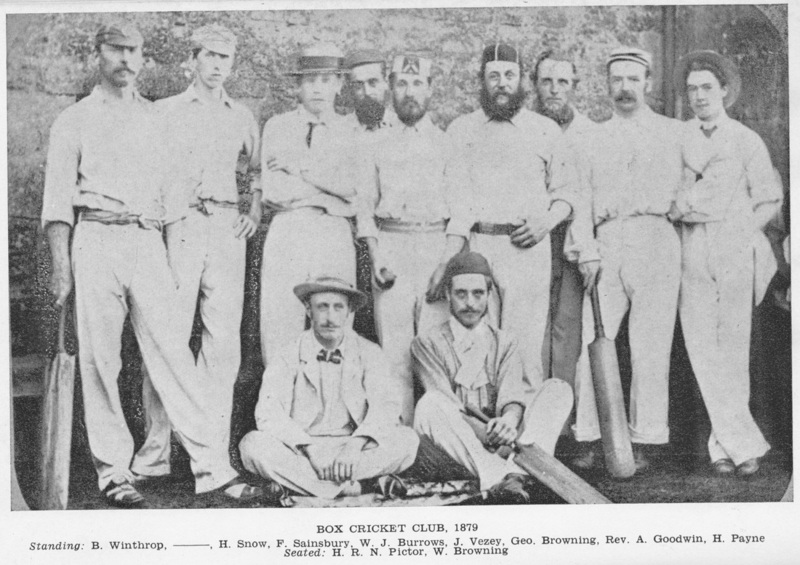 There is also a photo of James playing in one of the cricket teams of this time. We get an amazing insight into the character of James Junior from Donald Bradfield who says: He owned two farms, Henley and Blue Vein, a butcher's business where he slaughtered and sold his own-bred beasts and an inn with its own brewery  Donald goes on to say that he wasn't wealthy because he helped others to his own detriment. He was Overseer for the poor for 29 years, and sat on the parish and district councils besides being a member of the Board of Guardians. And his most notable claim to fame was through his beloved cricket: Dr Martin credited him with the biggest hit ever made in Farm Mead. A towering six which carried clean over an old elm tree down by the Vicarage wall. That year was 1887. James Junior and Elizabeth had at least five children: William, Helen, James, Percival and Annie. We are lucky to have photos of several of these people from the Lambert photo albums. On his death on 9 June 1906, James Junior left £3588.5s.9d to his widow, Elizabeth, and his nephew, John Cook Vezey, tallow chandler. 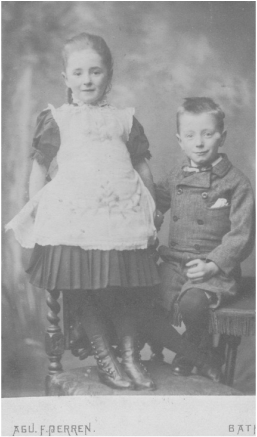 The two families were still very close because Elizabeth (right) continued to run the pub until her death in 1911, when it was taken over by Percival. 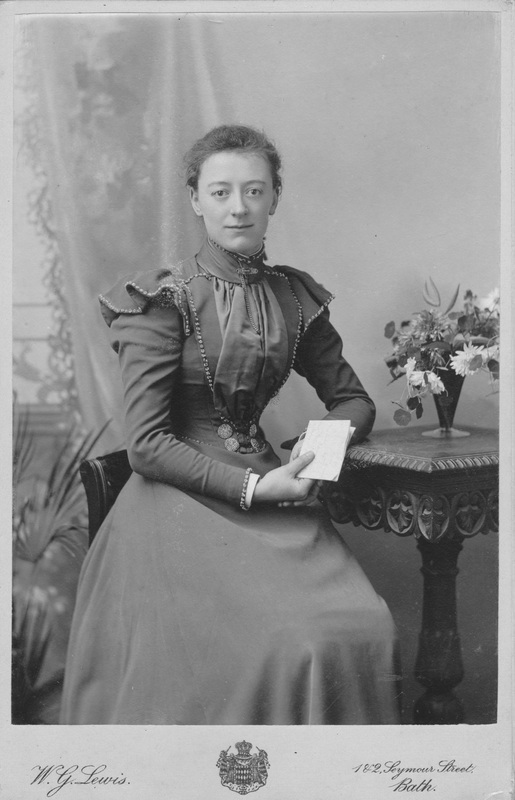 On Elizabeth's death on 9 July 1911 she left £943.19s.11d to William and Percival Vezey, butchers, and Thomas Vezey, solicitor (son of James the candle manufacturer). Probably by then trade had declined and the Chequers premises were sold out of the Vezey family to Ushers Brewery in 1913, who put in their own licensee, Clifford Marshman, in that year. Most of the Vezey family were in exempted trades during the Great War. But Percival enlisted aged 37 and served in the Army Supply Corps. He contracted tuberculosis and was discharged in May 1918. He died in April 1919, leaving his remaining assets worth £793 to his sister Annie who lived at 2 Rockleigh. The connection of the Vezey family with the Chequer's butcher shop and pub was broken. James Senior (1805 - 1865) born Ditteridge married Frances Senior (d 22 November 1868). Children: Thomas Wilton (b 1834), Mary (b 1838), Frances Junior (b 1841), Jane (b 1842), James (b 1846 or 1848). On his death at the Chequers on 20 June 1865, James Senior left effects valued at under £800. Probate was sworn by his relict, Frances, and his brother, Edwin, victualler of Batheaston. 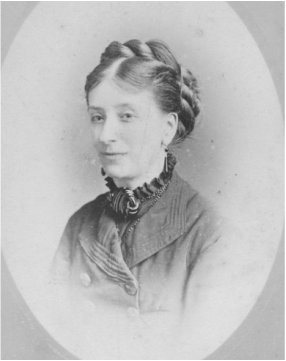 On Frances Senior's death in 1868 her estate was sworn by her son, James, butcher and John Cook Vezey, Soap Manufacturer. James Junior (1848 - 1906) married Elizabeth (1848 - 1911) and they lived at The Chequers. 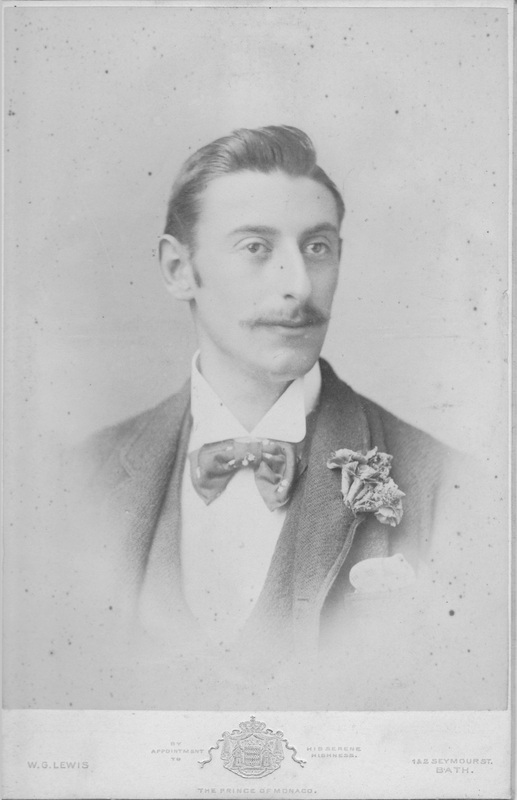 On his death on 9 June 1906, James left £3588.5s.9d to his widow Elizabeth and his nephew John Cook Vezey, tallow chandler. On Elizabeth's death on 9 July 1911 she left £943.19s.11d to William and Percival Vezey, butchers, and Thomas Vezey, solicitor.